See, if I took this photo, everyone on board would spend the rest of the trip repeatedly hearing about my favourite Batman moments, generated with more excitement each time I looked at said smartphone snap. Anyone who called it Wolverine, would end up in the cold waters below, waiting for a pack of passing 'Happy Feet' with which to hitch a ride. Hey, there's a time and place for democracy. 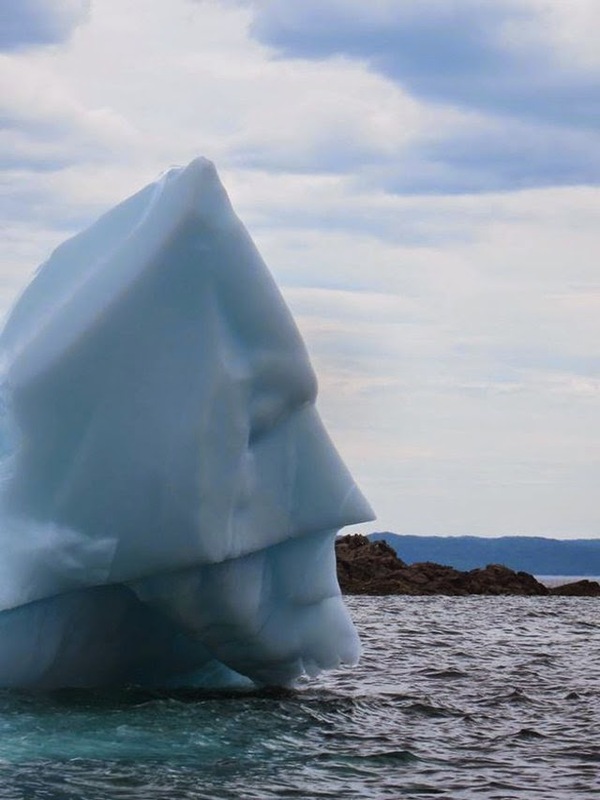 Photographer Mike Parsons though didn't even see the genius in this berg, until he posted the Newfoundland ice wonder on his Facebook page, and his more eagle-eyed friends started showing him the natural wonder's true secret identity. While no Mr Freeze was insight, the Fortress of Solitude now has competition as comics coolest property. *best Schwarzenegger voice* "What killed the dinosaurs? THE ICE AGE! Tonight's forecast... a FREEZE is coming!" Holy icecubes Batman - that's an iceberg even the Titanic wouldn't want to miss crashing into! You know part of me wants to watch Batman and Robin again just to hear Arnie's bad one liners. Sucker for punishment huh? The iceberg where Penguins dare not tread... Much better than a mountain out of mashed potatoes. Nice King solves one of my needs to see an old film and Random straight away replaces it with another. (sigh) can I ever be free of this curse - and where do you find Close Encounters of the Third Kind anymore? The directions have to be planted in your head subliminally.